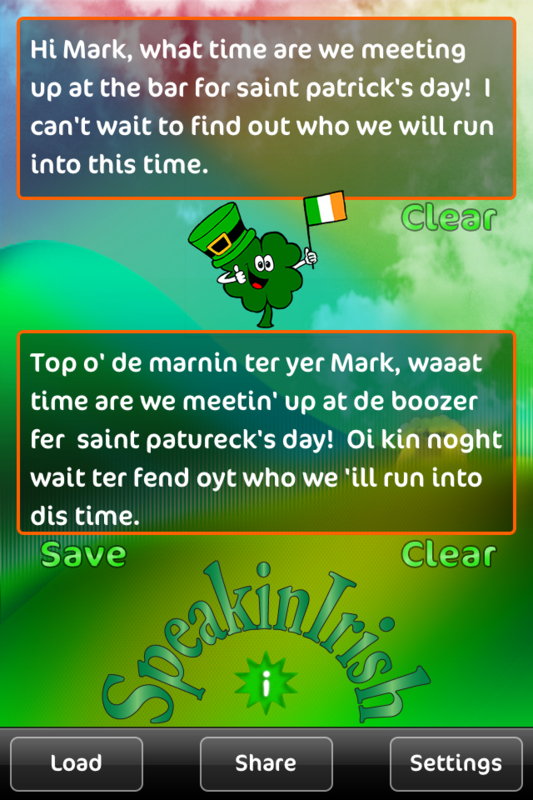 Top of the mornin to ya! 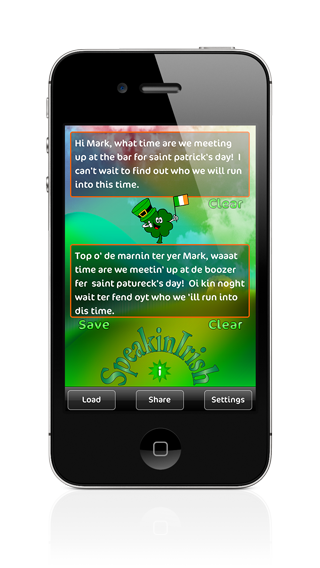 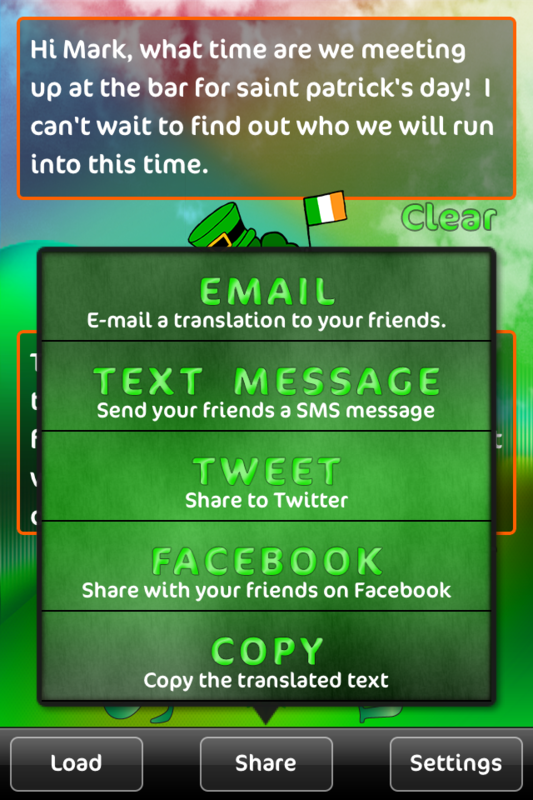 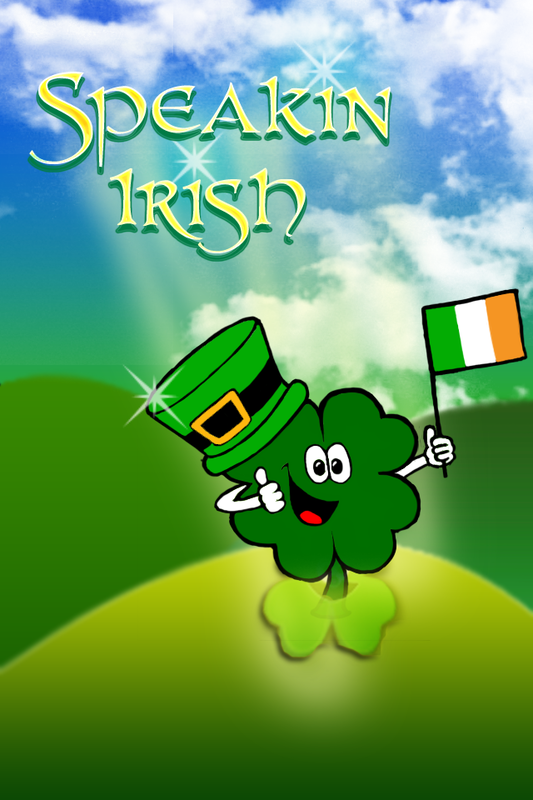 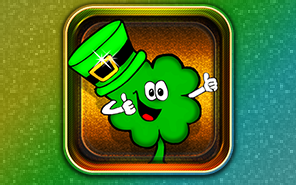 This be Speakin Irish, a grand application that will have you soundin just like a lad or lass with an Irish accent. Type a message and translate it, then share your translation with all of your friends. 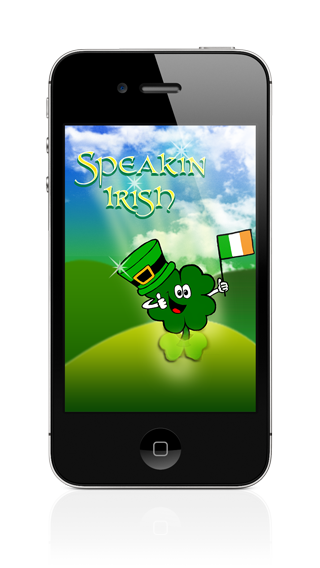 Regardless of how many pints of Guinness you've had at the pub, this app is fun and easy to use.